Each year Essaouira hosts the Andalusian Atlantic Music Festival (The Festival des Andalousies Atlantique) which pays homage to great musicians and the Andalusian legacy of hispano-Moroccan traditions in the Magreb. 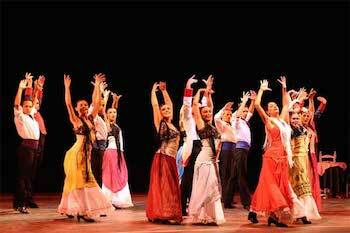 Celebrating the friendship and shared history between Spain and Morocco the 12th Annual Andalusian Festival of Essaouira will take place from October 29th - 31st, 2015. 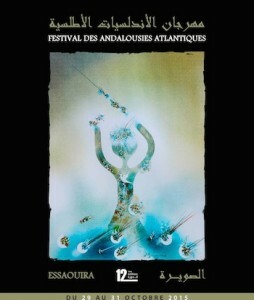 Founded in 1992 by Mr. Andre Azoulay, a Senior adviser to King Mohammed VI of Morocco, the Andalusian Atlantic Music Festival celebrates the diverse heritage of Moroccans and the town of Essaouira's historical co existence of Jews, Berbers, Spaniards, Muslims and Christians who contributed in weaving together a multicultural and rich artistic coastal town. 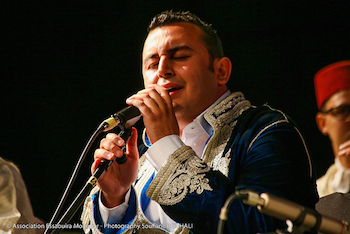 The 12th Andalusian Atlantic Music Festival features concerts along with round table discussions and debates led by academics and professionals in the artistic field as to contribute the importance of cultural diversity.